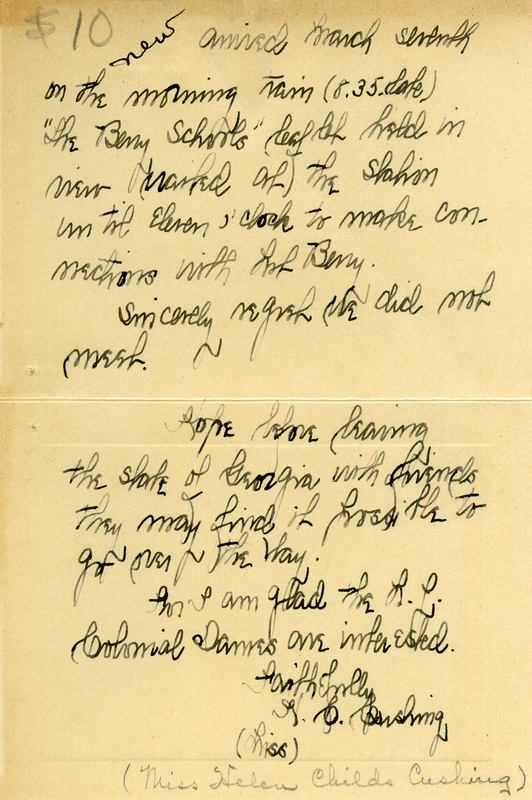 Helen Childs Cushing writes about her travel to Berry and regrets that she did not meet Martha Berry. She is glad the R.L. Colonial Dames are interested in Berry. 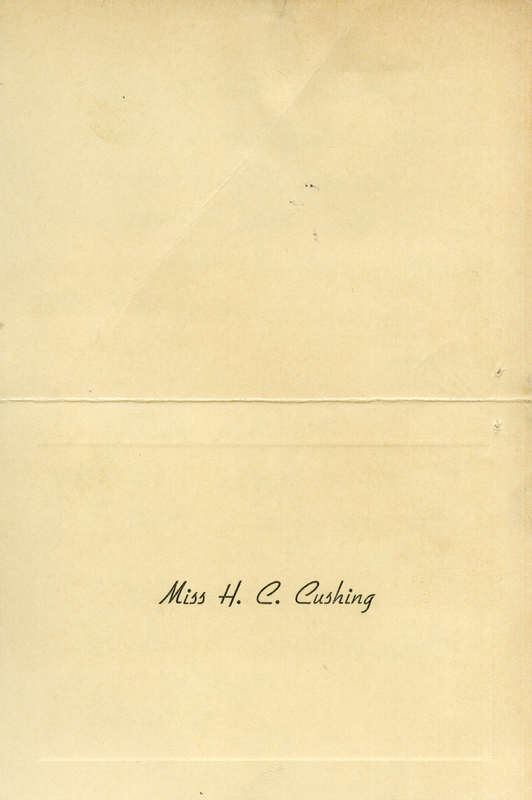 Miss Helen Childs Cushing, “Letter to Martha Berry from Helen Childs Cushing.” Martha Berry Digital Archive. Eds. Schlitz, Stephanie A., Jessica Hornbuckle, Chloe Lombard, et al. Mount Berry: Berry College, 2016. accessed April 24, 2019, https://mbda.berry.edu/items/show/15431.